Bridget Allchin, a pioneering woman archaeologist of South Asia, recently passed away. The Guardian has a fine summary of her remarkable career, and its continuation in the Ancient India and Iran Trust at Cambridge, a unique collaboration among scholars. Like Beatrice de Cardi, she played a key role in showing how embedded ancient Indus civilization was with prehistoric and contemporaneous manifestations of human culture in Western India and Asia. She was author of the near-textbook The Rise of Civilization in India and Pakistan (Cambridge, 1982). The Guardian's Bridget Allchin obituary. 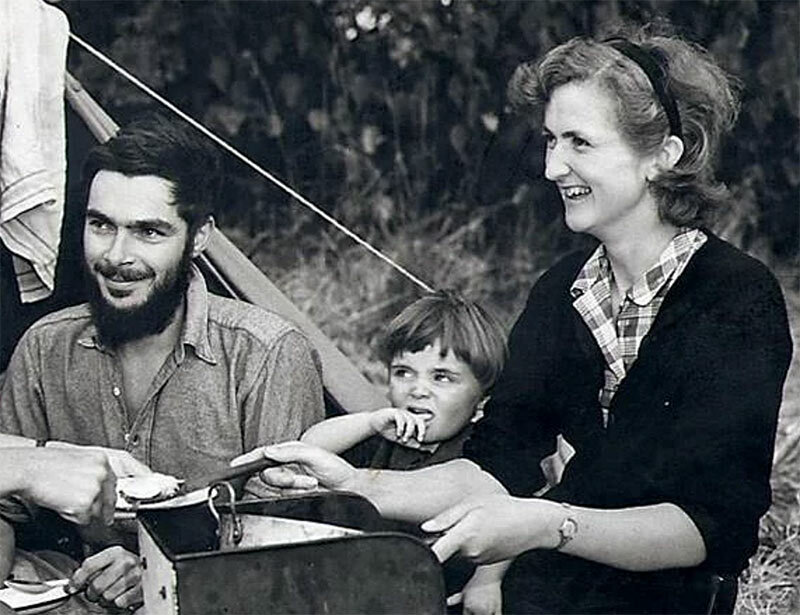 Above: Bridget Allchin, right, with her husband, Raymond, and child, William, on fieldwork in 1956, courtesy The Guardian.